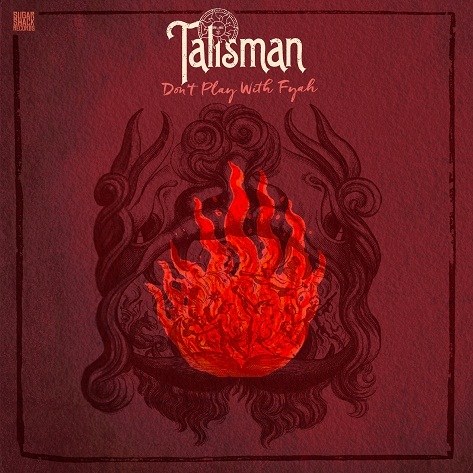 Talisman's new album “Don’t Play with Fyah” is a revelation. Most bands with a history that stretches back four decades are content to go through the motions, their creative peak somewhere in the past, not Talisman. Their new album includes some of the strongest material they've ever recorded, with seven brand new songs and the corresponding dub counter parts; this is their finest album to date. The pace and the lyrical intent doesn't let up as we start “Talkin' Revolution” which for long time fans of the band is a real treat; a brand new song yet imbued with the feel and vibes of early eighties Talisman. It would not have felt out of place in their sets during those years and yet, this bridge between the past and present manages to surpass what went before, a real achievement and another certain future favourite for fans. “She Look like Reggae” is a charming piece of observational song writing that rewards repeated listening with hidden depths and also provides a good opportunity to mention the very welcome use of a full horn section on some of these tracks. There's something right about Talisman with horns that once again ties their long distinguished musical heritage in with the present. It's hard to overstate Dennis Bovell's contribution to British music, reggae in particular and we can't think of anyone more qualified to mix these tracks. Dub mixes really are his forte, with more than four decades of experience mixing the best in British dubs. The seven dub versions here, deliver in every way, true dub re-imaginings and not mere afterthoughts. Dennis has refashioned them into alternative mixes, shifting focus, taking whole new pathways as he navigates the multi-tracks, sometimes familiar, sometimes with an entirely new emphasis. These dubs happily stand on their own merits and let’s hope that this is just the first of much collaboration with the great Dennis Bovell. In addition to the 14 track CD and digital download version, there is also a limited edition vinyl LP featuring four of the vocals and their corresponding dub versions, Talisman's “Don't Play with Fyah” is released by Sugar Shack Records on March 17th 2017. Distribution by Shellshock/ SRD and available from all good retailers worldwide.